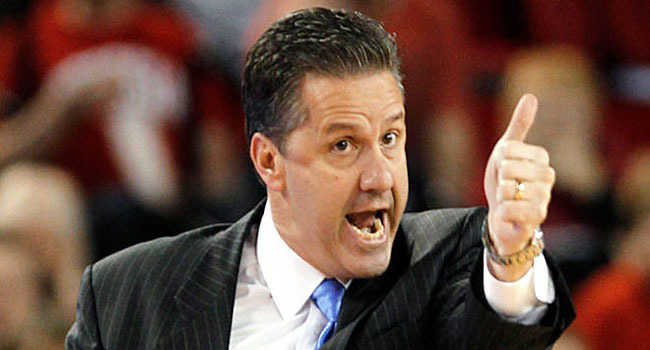 Love him or hate him, seeing John Calipari's unbeaten Wildcats play unbeaten Virginia in the NCAA Final would be amazing. Ya, I’ll get to “Deflate-Gate” shortly but there’s other things to touch on first. -I realize this is probably nothing more than a pipe dream, but can you imagine if Kentucky and Virginia were to meet in the National Championship Game and both were unbeaten? It would be Defcon Five for the folks at ESPN. I’m not sure it’s going to come to that because there’s a long way to go but I can’t help but think of the spectacle it would be. We can only hope that Manny Pacquiao gets his wish to fight Floyd Mayweather this spring. -A quick 180 from Portland’s LaMarcus Aldridge who decided yesterday to put off surgery on his hand. Aldridge was looking at six to eight weeks of in-action had he gone through the surgery. For right now though, he has decided to keep playing. This will be interesting from the standpoint of just how much can he tolerate in terms of pain and discomfort. -R.I.P Ernie Banks. The most famous and greatest Chicago Cub of them all died yesterday. Not only was he the very first African-American player for the North siders, but he was a two-time MVP, hit over 500 home runs and is in the Hall of Fame. Perhaps the best thing that can be said about him though is nothing about it his playing. But rather, it was about him as a person. -Tonight of course is the Pro Bowl. It’s what I like to call the “hold your breath so your team’s players don’t get hurt” bowl. Every time this game rolls around I can’t help but think of the Patriots’ running back Robert Edwards. He was playing in a rookie, beach football game and blew his knee out. After an amazing first year, he was never the same. -Easy for me to say, but I think Father Time is trying to tell Kobe Bryant something. I also think it’s something that LeBron James should pay attention too as well. Both of these players entered the NBA out of high school and those extra miles on their bodies are far more grueling than if they had gone to college. With his rotator cuff injury, I think the end is near. 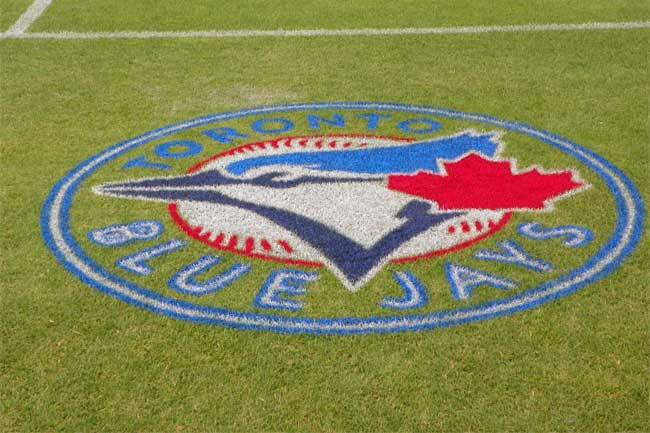 The new-look Toronto Blue Jays remain the bookies' favorite to win the 2013 World Series. In 47 days’ time, the Houston Astros and Texas Rangers will take to the baseball diamond at Minute Maid Park, raising the curtain on the 2013 Major League Baseball Season. With pitchers and catchers arriving in Arizona and Florida this week for Spring Training, there’s still plenty of deals to be done before that first pitch is thrown – not to mention a cavalcade of storylines that still need to fully unravel – but Casino Review is going to take this time to look at the updated MLB futures, and how they could still be impacted six weeks or so before the season proper gets underway. Currently No. 1 on the MLB futures list is Toronto. Since November’s mega-trade with the Miami Marlins, the Blue Jays have held firm at the top of bookmakers list. The retooled Blue Jays will welcome the likes of Jose Reyes, Mark Buehrle, Josh Johnson, Melky Cabrera, and 2012 Cy Young award-winner, R.A. Dickey to the fold when the team takes to the Rogers Centre field for its first game on Apr. 2. Whilst the collection of talent – the likes of which the Blue Jays have never seen before, even during its World Series winning season of 1992 and 1993 – has wowed bookmakers to the tune of 7/1 odds to win the World Series, bettors need only take a look at this season’s Los Angeles Lakers, or last year’s Miami Marlins for that matter, to see how this could blow up in their face. Toronto is 7/2 to win the AL pennant at this time. No. 2 on the MLB futures list is Washington. The Nationals are considered 8/1 to win the World Series next season, and 15/4 to win the NL pennant. After enjoying the franchise’s best season since moving to D.C., Washington had the luxury this winter of sticking with what brought it to the dance. Aside from the usual tinkering and sorting that goes along with the offseason, the team did add closer Rafael Soriano to the bullpen, at the cost of a two-year, $28 million contract. That instantly makes the Nationals a better side. At 8/1 to win the World Series, the Los Angeles Dodgers sit level with Washington on the World Series futures list, but the Southern California side narrowly trails the Nationals in terms of the NL pennant. The Dodgers are considered 4/1 to win the National League. Like the Blue Jays, the Dodgers were involved in a blockbuster trade last year, only in this case it happened during the season. The arrival of Adrian Gonzalez, Josh Beckett and Carl Crawford might not have come in time for the Dodgers to catch San Francisco in the NL West, but odds makers like the side’s chances from the off this season. The MLB futures’ top five is rounded out by Detroit and the Los Angeles Angels, both of whom are considered 9/1 to win the World Series, and 9/2 to win the AL pennant. After winning the AL pennant in 2012, the Tigers haven’t made a huge splash in the market this offseason, but with it expected that Victor Martinez should return from injury (ACL) this season in the DH spot, odds makers like the Motor City side to contend again. It doesn’t harm that AL MVP and Triple Crown-winner Miguel Cabrera will be back at third base. The Angels did make a splash this winter, signing free agent Josh Hamilton from under the noses of the Texas Rangers. Hamilton – who has suffered alcohol dependency issues – is a risk but one the Angels and bookmakers like, especially when the long ball hitter is next to Albert Pujols. We’ve included a breakdown of all odds pertaining to the World Series, American League and National League below, but here are a few more noteworthy observations. World Series champion San Francisco finds itself in joint sixth spot on the World Series futures (14/1) alongside Atlanta, Cincinnati, the New York Yankees and Texas. The Giants are tied with Atlanta in fourth place on the NL futures (7/1) behind Washington, the Dodgers, and Cincinnati (6/1). The Yankees and Rangers (both 13/2) are tied for fourth spot in the AL with plenty of questions surrounding the organizations, not least in New York’s case the uncertainty surrounding the health and possible PED usage of Alex Rodriguez. At the other end of the futures list, Houston is the least favored team in terms of the World Series (200/1) and, in its first season in the league, the AL pennant (75/1). After shipping the majority of its high-priced talent north to Toronto, Miami finds itself at the bottom of the NL list, alongside the Chicago Cubs and Colorado Rockies at 50/1. Each of those sides, as well as Minnesota and the New York Mets, is considered 100/1 to win the World Series. All odds supplied by Bovada. If the Dallas Cowboys upsetting the New York Giants on Wednesday night has put you in the mood for a spot of betting, there’s no need to wait until Sunday afternoon’s NFL kickoff games. Ahead of Sunday’s 13-game schedule there’s plenty of sporting action to be had. First up is a short slate of Major League Baseball games on Thursday night. While most teams are currently prepping for three-game sets this weekend, 10 teams will be in action tonight. Four of the five games are series closers, with three involving teams looking good to make the postseason. The other is a biggie. Tim Hudson and the Atlanta Braves are looking to close out their series against Colorado with a win Thursday night. Kicking things off, Tim Hudson (13-5, 3.76 ERA) and the Atlanta Braves (77-60, 39-32 home) host the Colorado Rockies (56-79, 26-38 road). The Rockies have been nothing to write home about this season and the focus here will be on the Braves trying to maintain 4 ½ game lead in the race for a Wild Card spot. Jhoulys Chachin (2-4, 4.85 ERA) will go for the Rockies so Hudson is the favorite in this one. Despite Colorado having taken one of three from the Braves this week bet on the Braves at +110 to cover the spread. 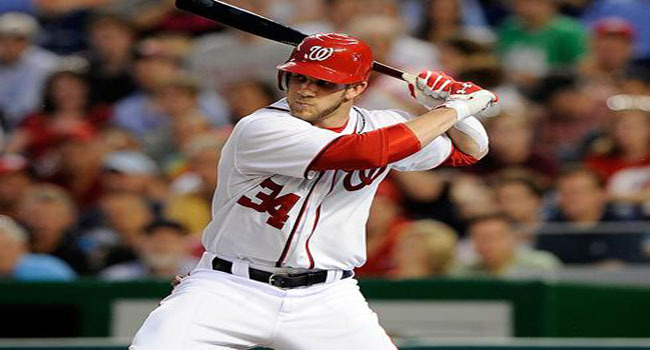 Atlanta’s NL East rivals Washington will also be in action tonight. The Nationals (84-52, 42-25 home) host Chicago (51-85, 17-51 road). Leave it to the lowly Cubbies to help the Nationals out of a mini-slump. The Nats have taken three in a row against Chicago this week after struggling over the past two weeks, and with Jordan Zimmerman (9-8, 3.01 ERA) looking to make-up for a poor outing Saturday, it’s hard to see past Washington on Thursday. Oddsmakers agree. The Nationals enter the game as -1.5 favorites at -120 odds. Elsewhere in the National League, the Milwaukee Brewers (67-69, 26-41 road) finish off a four-game series at Miami (60-77, 31-37). You’d have to be a diehard fan to watch this one, but some in-play action could be interesting for bettors. For the record, the Marlins are favored despite Milwaukee having taken two of three this week. Over in the American League, AL West-leaders Texas (81-55, 38-30 road) has one game left in Kansas City (61-75, 31-37 home). Unsurprisingly, the Rangers enter the game as favorite (-1.5 at +115 odds) but Kansas snatched a victory on Tuesday and Rangers starter Scott Feldman (6-11, 5.01 ERA) is ripe for the pickings. Take the Royals for the upset here. Rookie David Phelps will take the mound for the Yankees' opener in Baltimore on Thursday night. The biggest game on tap Thursday night will be the New York Yankees (77-59, 36-31 road) travelling to Baltimore (76-60, 37-30 home) for the first of four. New York managed to edge one game ahead in the AL East after defeating Tampa Bay on Wednesday, while Baltimore fell to Toronto. This weekend’s series will be even bigger than last weekend’s showdown in the Bronx. Thursday’s matchup see David Phelps (3-4, 3.13 ERA) go for the Yankees against Jason Hammel (8-6, 3.54). Phelps is spelling the injured Andy Pettitte. The rookie has impressed this season, maintaining a respectable ERA under the big lights of New York. Hobbled by injuries, the Yanks welcomed back Alex Rodriguez this week and despite Mark Teixeira still being on the DL, on Wednesday night the Bombers looked like they might be ready to turn a corner. Baltimore head into this one as underdogs and could be worth a stake, but this one smells like a statement game for the Yankees. Expect Derek Jeter to lead by example. After all of that, if you still fancy an NFL warm up, College Football is back Thursday night with Pittsburgh (0-1) traveling to Cincinnati (0-0) in a Big East showdown. The Bearcats are narrow favorites (-4 ½ at -115) in what will be the team’s season opener. Utah (1-0) travels to Utah State (1-0) on Friday night before a full slate of college games takes center stage on Saturday while the race for the MLB postseason continues across the weekend, including what could be Stephen Strasburg’s last outing of the year (Vs. Miami, Friday 7:05 PM ET). Then, of course, NFL Week 1 kicks off proper on Sunday, with the pick of the bunch looking to be San Francisco at Green Bay and Pittsburgh at Denver. Oddsmakers like both home teams here, but Pittsburgh could well get after Peyton Manning and the Broncos for the [narrow] upset.